Hipster photo camera icon. 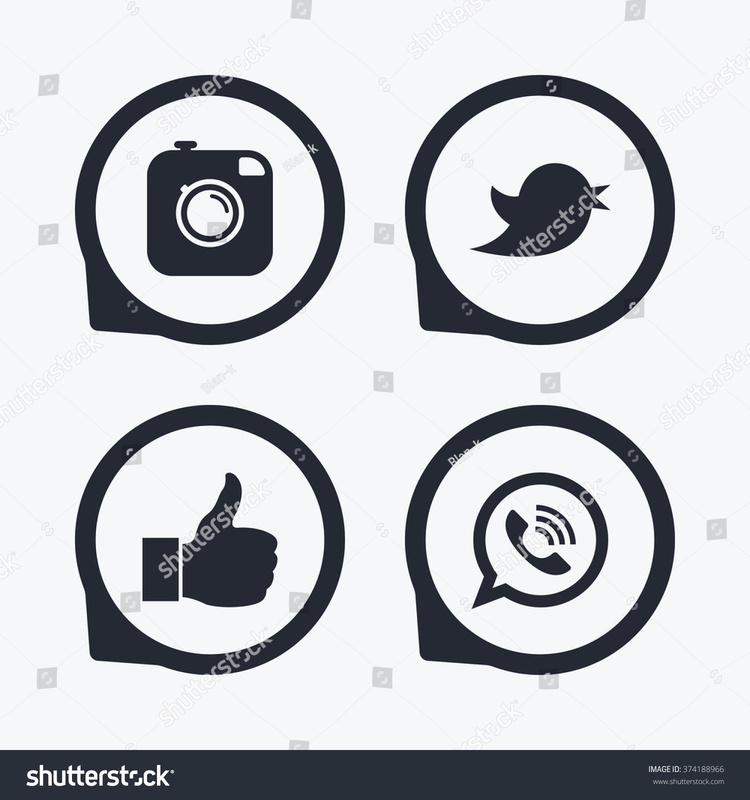 Like and Call speech bubble sign. Bird symbol. Social media icons. Flat icon pointers.